1997. 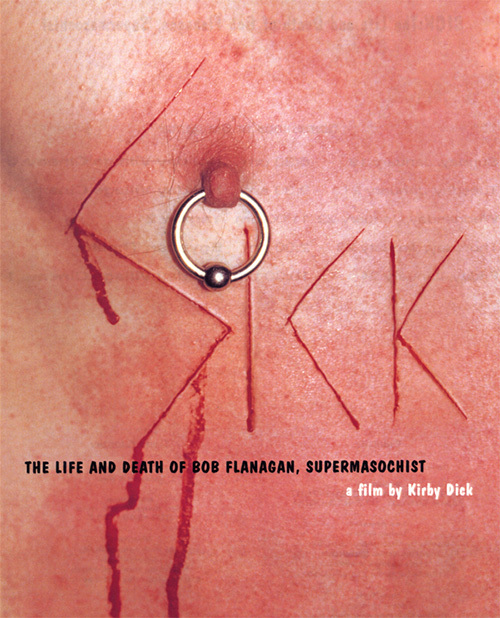 Art created for the original Sundance poster for the film “SICK”. Sheree Rose really cut the S into Bob's skin, but I did the rest digitally. The posters were placed in theater lobbies at the festival and wildposted on the street. Every last one was stolen, and the original file is lost. I like to think that Sagmeister’s famous 1999 AIGA poster was inspired by Bob Flanagan and Sheree Rose. ↑ RETURN TO TOP | All the work on this site is restricted by contractual agreements and protected by copyrights. Please do not download, reproduce, share or copy.